We offer personalised healthcare using gentle acupuncture, quality herbs, and tailored diet and lifestyle advice. Our integrated approach incorporates traditional wisdom and modern research, delivered in a warm, empathetic manner. Mary-Jo Bevin is a Chinese medicine practitioner in Malvern, Victoria. She has over fifteen years experience working in clinical practice, both individually and under the mentorship of Steven Clavey, a world-renowned gynaecology practitioner in Chinese Medicine, and co-founded one of the first IVF support acupuncture clinics in Melbourne. Mary-Jo has a special interest in supporting women with fertility issues and throughout pregnancy. She is passionate about women’s health and hormonal balance, and uses a combination of acupuncture, herbal medicine, cupping, moxibustion and dietary and lifestyle advice to get the best results for her clients and empower them to better health. She works with patients to understand their current health situation, medical history and contributing external factors, in order to attain realistic and successful outcomes. After completing a Bachelor of Science with honours, Mary-Jo studied Chinese Medicine at RMIT University in Melbourne, graduating with a Bachelor of Applied Science in Traditional Chinese Medicine in 2003. She completed a certificate of advanced clinical practice during an internship at the University of Traditional Chinese Medicine teaching hospital in Nanjing, China in 2003. She continues to develop her skills by attending conferences in Australia and overseas, and has taught classes in acupuncture for IVF and pregnancy. Mary-Jo is a member of the Australian Acupuncture and Chinese Medicine Association (AACMA), and is registered with the Chinese Medicine Board of Australia and the Australian health practitioner regulation agency (AHPRA) as an acupuncturist and herbalist. Private health fund rebates are available for her services. Contact Mary-Jo on 0417 312 800. Lior Kedem is a registered Chinese medicine practitioner with extensive experience treating patients from infancy to adulthood, in a variety of clinical conditions. She has a special interest in women’s health with a focus on fertility, as well as paediatrics, offering a gentle, non-invasive treatment approach for children. 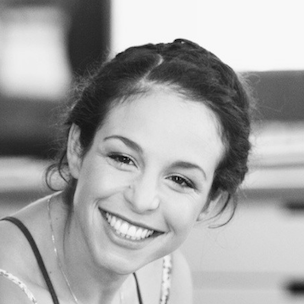 Also trained in Shiatsu, Lior has experience with a range of musculoskeletal imbalances and sports injuries. After completing a Bachelor of Science in Biology, Lior undertook further studies to become a Chinese medicine practitioner, and also gained a diploma in Shiatsu, a gentle yet powerful style of Japanese bodywork. She has training in a range of acupuncture styles, with post-graduate training in Japanese medicine, pediatric acupuncture, and acupuncture for orthopaedic conditions. Lior is registered with the Australian Health Practitioner Regulatory Agency (AHPRA) as an acupuncturist and herbalist, and is a member of the Australian Traditional Medicine Society (ATMS). Contact Lior on 0410 850 680.